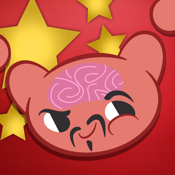 Learn Chinese (Mandarin) by Mindsnacks app review: the Dim Sum of learning? Learn Chinese (Mandarin) by Mindsnacks is a method of learning Mandarin Chinese designed around making learning a new language fun. But wait! Learning isn’t supposed to be fun, is it? With eight different games specifically created to improve essential vocabulary and conversation skills, Mindsnacks promises that people from all ages and walks of life who want to learn Mandarin Chinese can do so with this app. Now let’s find out if this app is truly worth the awards it’s won in the last few years. The app starts out by asking me to create a profile (free apps tend to do that quite often) and answer the question on how my current skill level in Mandarin Chinese is. I log in and answer with non-existent, which is not very far from the truth. My first lesson will be Numbers and I’m off to learn this exotic language. The free version includes one free lesson. Fifty extra lessons will cost an extra $4.99 but if you want an all-subject pass you will have to dish out $19.99. The app, when the lesson has started, shows you first where you can review your lesson. All of this is done in a particular nice-looking way with cute imagery and nice custom fonts. The voice that helps you understand the language is very clearly spoken. Studying, after reviewing, will bring you to the game screen, where you can practice what you just have reviewed by playing one of eight different games. The first one is “Swell” where you tap the matching word before time runs out. After each completed game you will get an overview of your word mastery and you get awarded some experience points. The second game available to me in the free version is galactic, a game to help with the pronunciation of tones. It’s simple: you draw lines on how you think to pronounce the words you just learned. This again is all done with cute imagery and very interesting designs. Other games include Belly, Bloon, Dam Builder, Bubbler, Stacks and Totem. This is probably the most kid-friendly (and grown-up friendly) language app I have found as of yet! It’s really fun, not too expensive, and very easy to play. The graphics used are all very cute and smiley, while the actual content is particularly designed to make learning a language fun, something I never deemed possible. I would definitely recommend this app for anyone planning to go to China, either for travel or business. When I go to China, I will definitely bring this app with me and try to pick up some of the language myself!